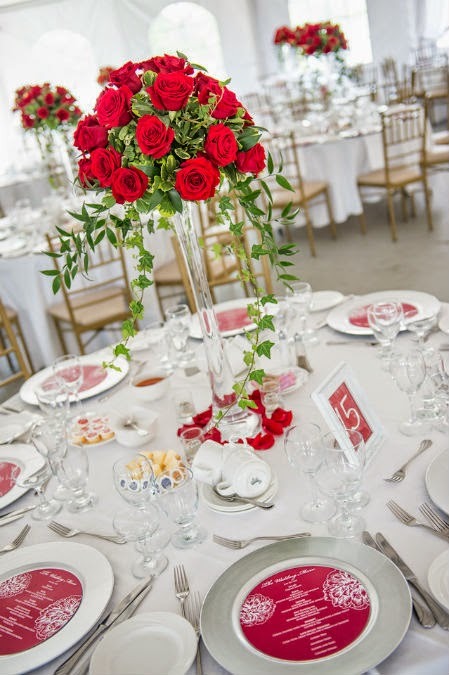 While an all red wedding may seem too daring, these flowers are fairly common in traditional weddings, as they stand for romance and luxury. 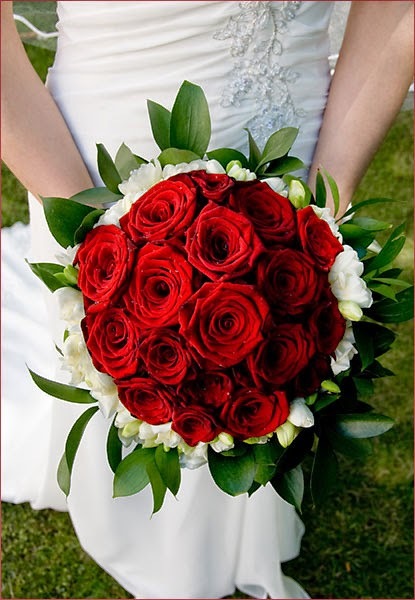 A red roses bouquet perfectly complements a white or cream wedding dress, creating a striking effect. 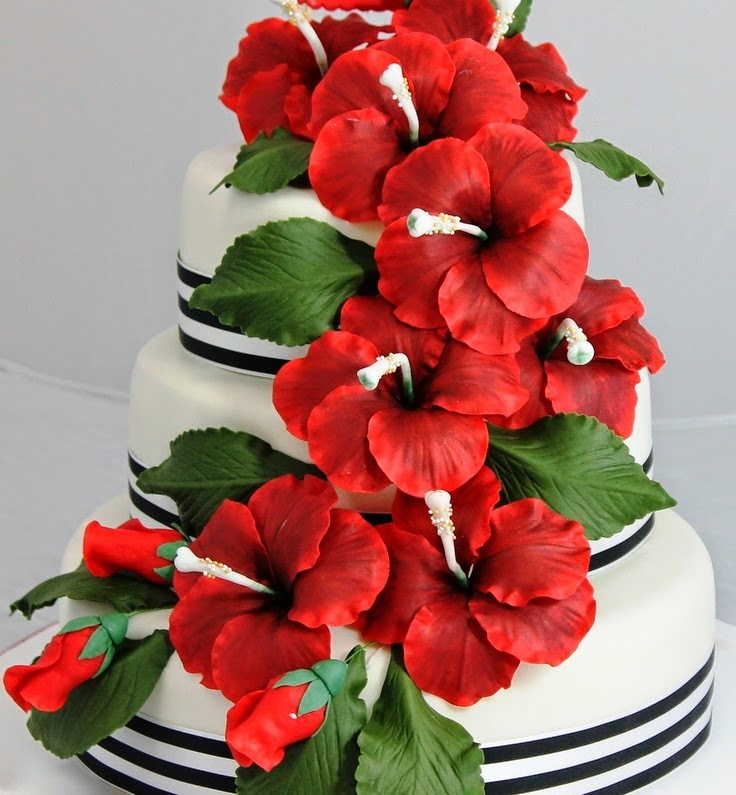 Exotic flowers such as red hibiscus are very popular in tropical beach weddings, such as Hawaiian weddings. 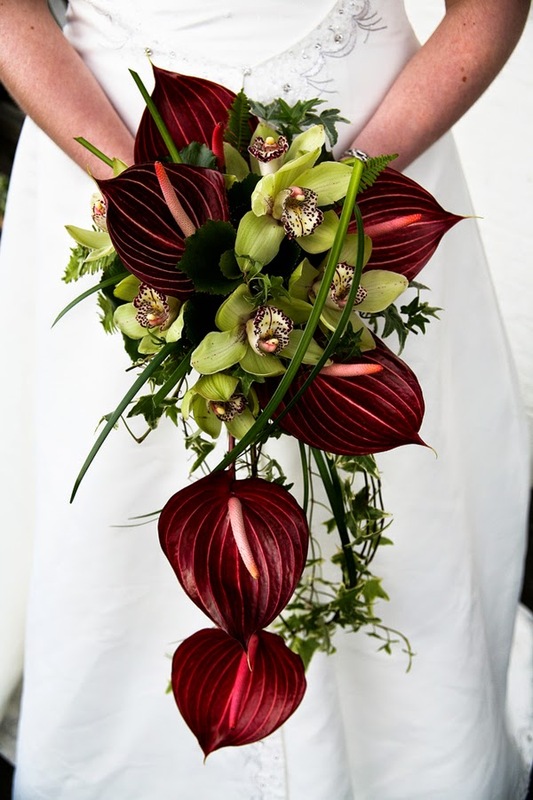 These flowers are used in bridal bouquets, for flower necklaces and even worn in the bride's hair, adding a touch of passion and exoticism. 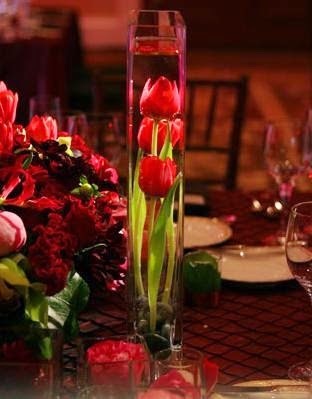 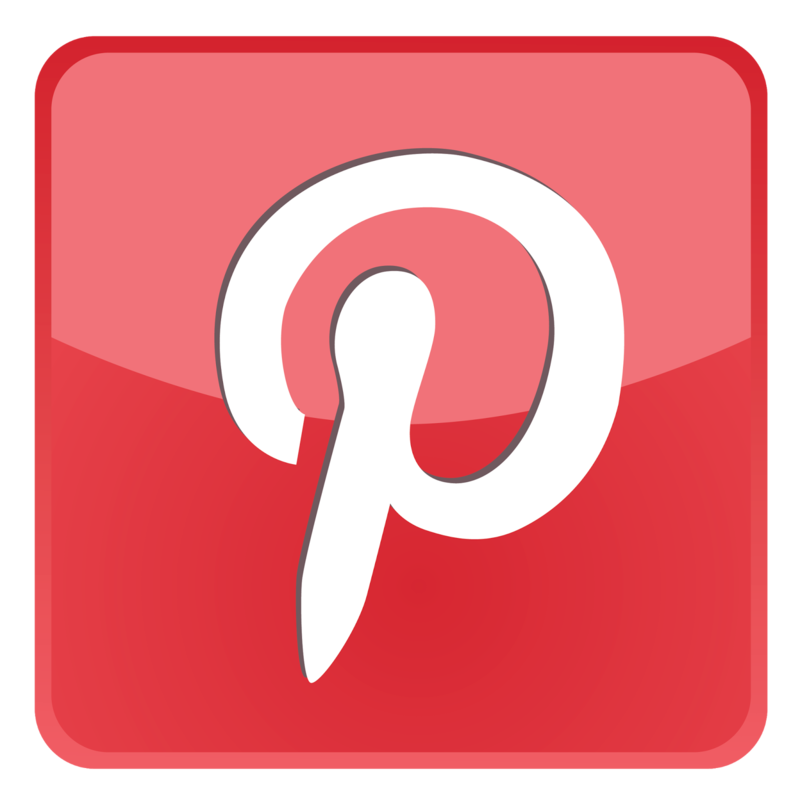 Also, they are a great compliment to a black and red wedding, being the perfect splash of color on a black wedding gown or bridesmaid dress. 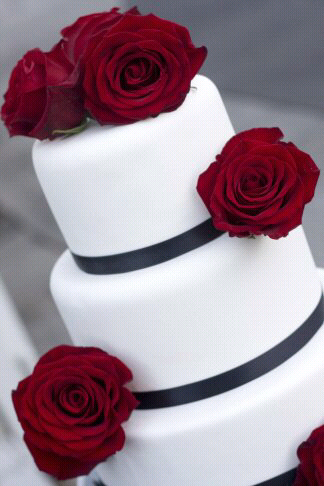 The perfect red flowers for a wedding are by far the red roses. 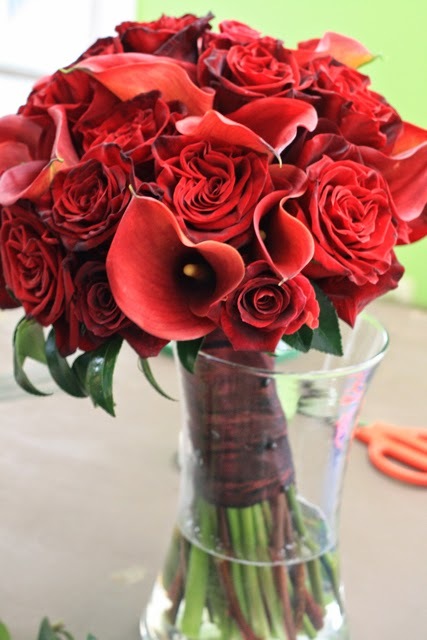 Two species of these are most often used in bouquets, due to their wonderful color and velvety texture: "Grand Prix" and "Passion".